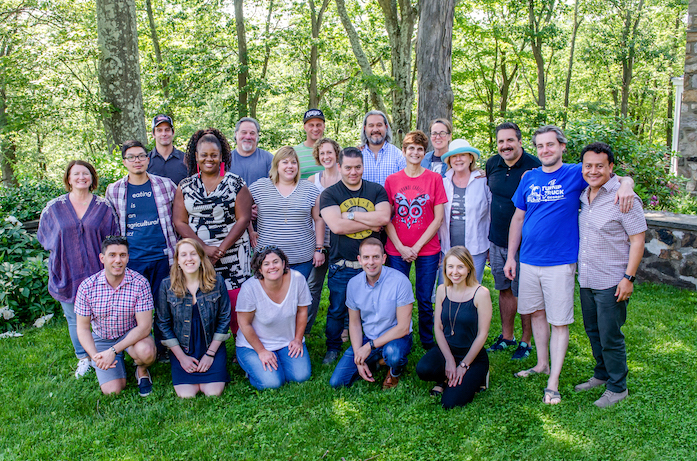 Part of the JBF Impact Programs, the Chefs Boot Camp for Policy and Change provides a unique opportunity for civically and politically minded chefs to become more effective leaders for food-system change. During thematic retreats around the country, participants receive advocacy and media training while learning about important issues, challenges, and opportunities facing the food world. The goal is to build a growing network of like-minded chefs, provide support for personal interests and passions, and give tools and guidance that will help them act as influential advocates. The JBF Chefs Boot Camp for Policy and Change is currently supported by the Osprey Foundation, the Carl M. Freeman Foundation in Memory of chef Matt Haley, and the Enelow Fund. If you are interested in attending a Chefs Boot Camp, please take the time to complete this survey about our Impact Programs. You’ll be expressing your interest in these programs, as well as providing us with crucial guidance. To learn more about the JBF Impact Programs and our committment to establishing a more sustainable food system, sign up for the JBF Impact newsletter. 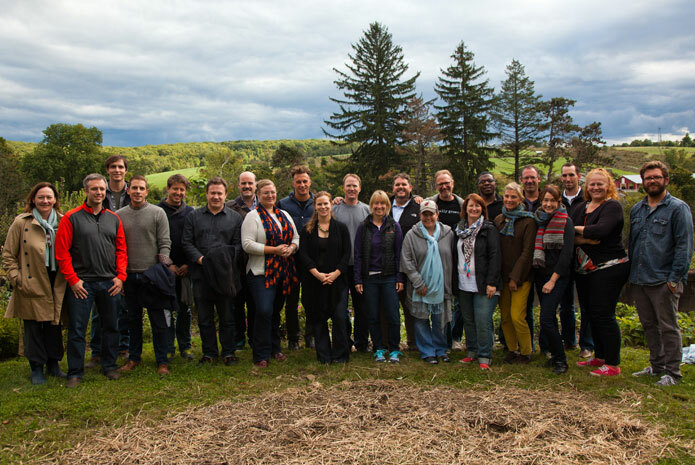 Our 18th Chefs Boot Camp for Policy and Change will take place June 2019 at Glynwood Farm, in Cold Spring, New York. 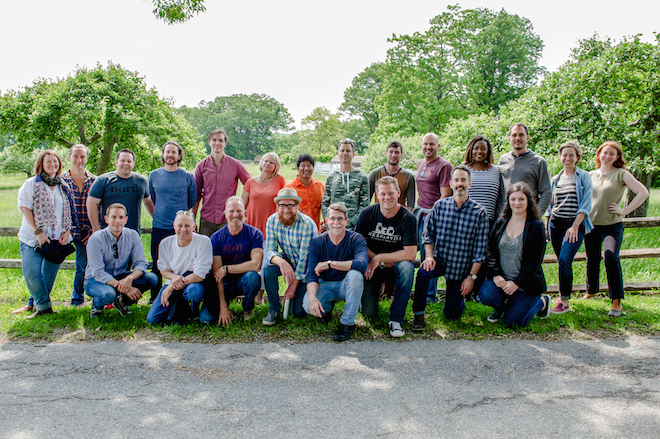 Our 19th Chefs Boot Camp will take place in September 2019 at Shelburne Farms in Shelburne, Vermont. 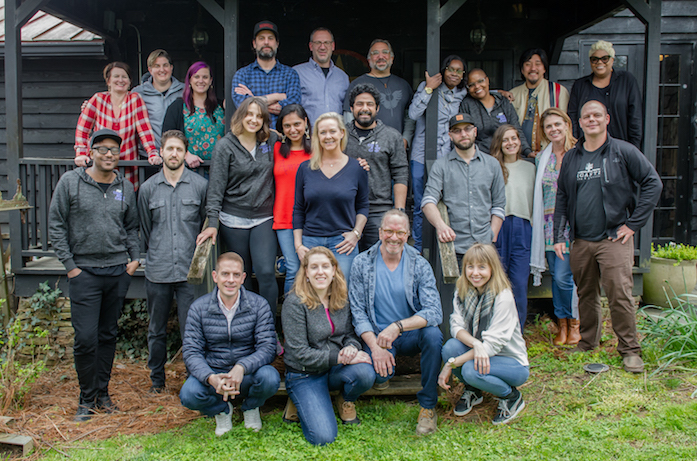 For our seventeenth Boot Camp, the James Beard Foundation returned to the Inn at Serenbe, Chatt Hills, GA, March 3 -5, 2019, to focus on food access and SNAP. Food brings families and communities together. The proposed changes to SNAP would take assistance away from hundreds of thousands of Americans. On December 20, 2018, President Trump signed a bipartisan Farm Bill into Law. It is an $867 billion piece of legislation that provides billions of aid to US farmers, and supports food, nutrition, and environmental programs. Included in the Farm Bill is policy governing SNAP - the Supplemental Nutrition Assistance Program - which helps food insecure households in need. While the Farm Bill passed with support for protecting SNAP a proposed rule of our the US Department of Agriculture seeks to restrict eligibility for some adults to receive benefits. The chefs learned more about this vital issue. This Chefs Boot Camp was conducted with support from the Orange Door Fund, JBF board member Eric Kessler, and the Inn at Serenbe. 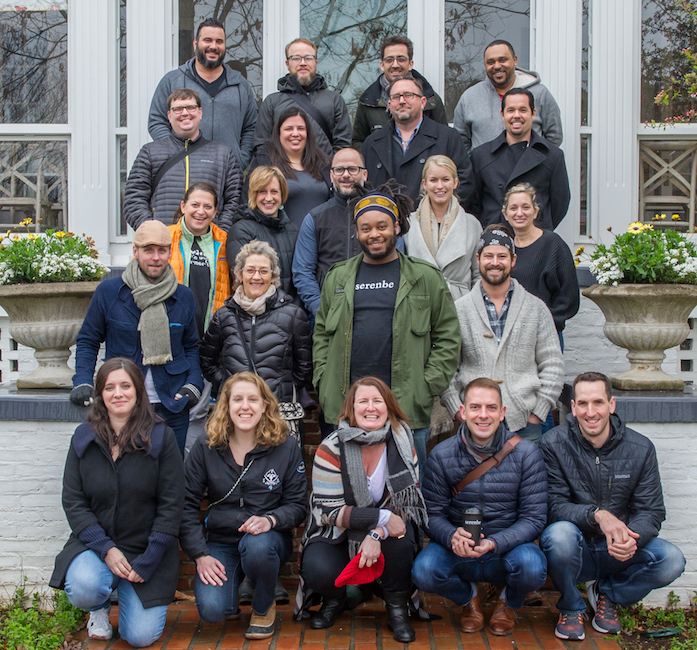 For our sixteenth Boot Camp, the James Beard Foundation returned to the Inn at Shelburne Farms, Shelburne, Vermont, September 9-11, 2018. With a focus on the upcoming Farm Bill, participating chefs learned the tools they need to advocate for a more delicious, nutritious, and sustainable food world for everyone. The Farm Bill, a nearly trillion-dollar piece of legislation, is scheduled to come up for consideration in September of 2018. The bill has wide reaching effects, from farms and forestry, to SNAP and other nutrition programs. This Chefs Boot Camp was conducted with support from the Osprey Foundation, JBF board member Eric Kessler, and Shelburne Farms. Our fifteenth Boot Camp brought chefs back to Glynwood Farm, outside Cold Spring, NY, June 10-12, 2018. The focus was again on the upcoming Farm Bill. The Farm Bill, a nearly trillion-dollar piece of legislation, is scheduled to come up for consideration in September of 2018. The bill has wide reaching effects, from farms and forestry to SNAP and other nutrition programs. Participating chefs learned the tools they need to advocate for a more delicious, nutritious, and sustainable food world for everyone. This Chefs Boot Camp was conducted with support from the Osprey Foundation, JBF board member Eric Kessler, and Glynwood Farm. More information on participating chefs. 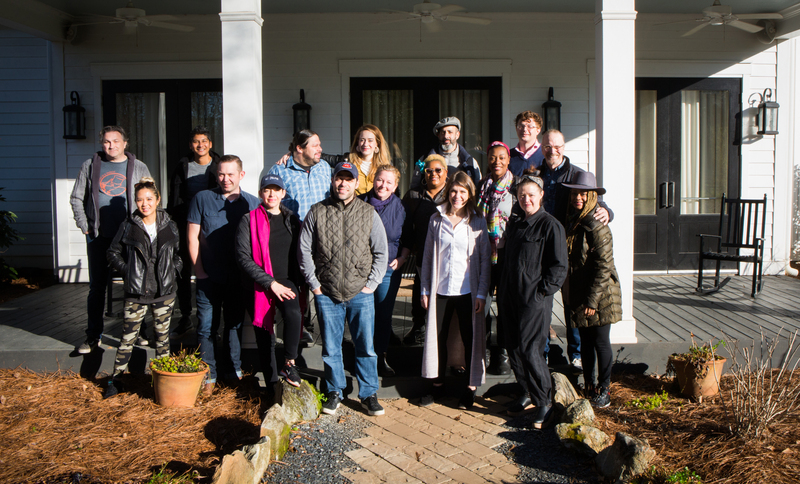 For our fourteenth Boot Camp, the James Beard Foundation returned to the Inn at Serenbe in Chatt Hills, Georgia, March 18-20, 2018. With a focus on the upcoming Farm Bill, participating chefs learned the tools they need to advocate for a more delicious, nutritious, and sustainable food world for everyone. The Farm Bill, a nearly trillion-dollar piece of legislation, is scheduled to come up for consideration in September of 2018. The bill has wide reaching effects, from farms and forestry, to SNAP and other nutrition programs. This Chefs Boot Camp was conducted with support from the Osprey Foundation, JBF board member Eric Kessler, and the Inn at Serenbe. Our thirteenth Boot Camp took place at Shelburne Farms in Northern Vermont, September 11-13, 2017. Participating chefs learned effective advocacy skills while exploring the multifaceted issues around the upcoming Farm Bill. The nearly trillion-dollar food and agriculture bill will come up for consideration and approval in 2018. Chefs learned about the different agriculture and feeding programs included in the legislation and explored ways to get involved in the debate. During the intensive three-day training, chefs honed the skills they need to be effective champions for the food-system issues they feel most passionately about. This Chefs Boot Camp was conducted with support from the Osprey Foundation, JBF board member Eric Kessler, and Shelburne Farms. Our twelfth Boot Camp took place at Glynwood in New York's Hudson Valley, June 11-13, 2017. 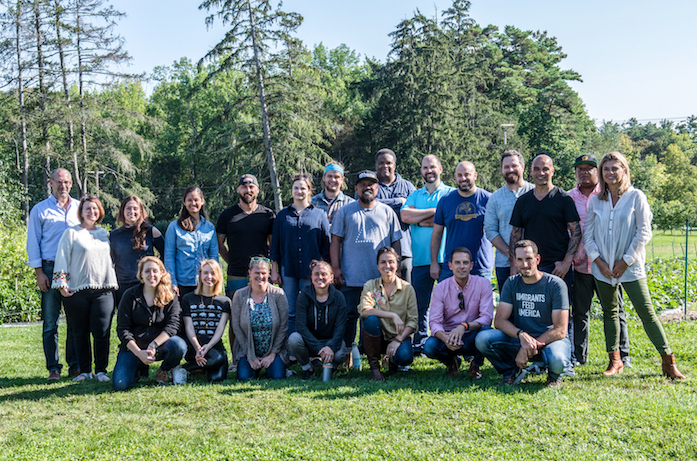 Thirteen civically and politically minded chefs from across the country participated in an intensive three-day program, learning effective advocacy skills while exploring the multifaceted issues around food waste reduction. This is the third time the prestigious program took place at the agricultural nonprofit’s 225-acre farm. During the training, chefs honed the skills they need to be effective champions for the food-system issues they feel most passionately about. This Chefs Boot Camp was conducted with support from the Osprey Foundation, Hungry Harvest, JBF board member Eric Kessler, and Glynwood. Our eleventh Boot Camp took place at the Inn at Serenbe near Atlanta, GA, March 12-14, 2017. Participating chefs learned effective advocacy skills while exploring the multifaceted issues around food waste reduction. During the intensive three-day training, chefs honed the skills they need to be effective champions for the food-system issues they feel most passionately about. This Chefs Boot Camp was conducted with support from the Osprey Foundation, Hungry Harvest, JBF board member Eric Kessler, and Serenbe. Our tenth Boot Camp took place at Shelburne Farms in Northern Vermont, September 11-13, 2016. Participating chefs learned effective advocacy skills while exploring the multifaceted issues around food waste reduction. 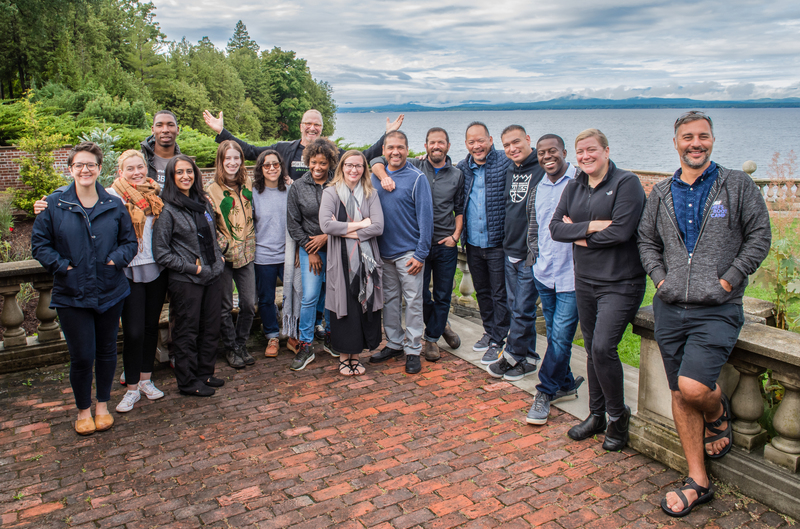 During the intensive three-day training, chefs honed the skills they need to be effective champions for the food-system issues they feel most passionately about. 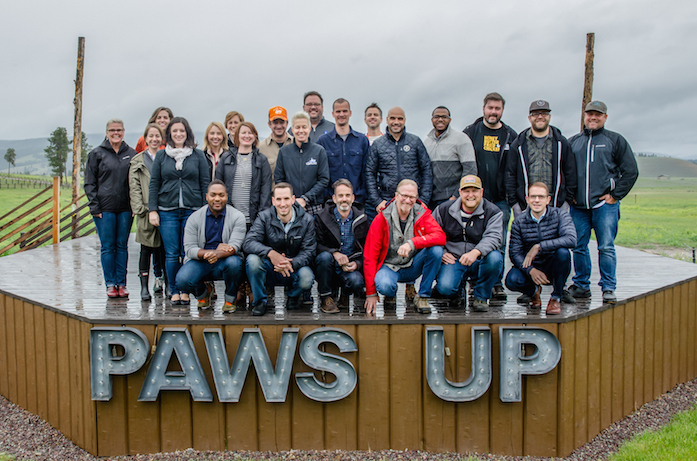 Our ninth Boot Camp took place at The Resort at Paws Up in Greenough, Montana, May 22-24, 2016. Participating chefs learned effective advocacy skills while exploring the multifaceted issues around food waste reduction. 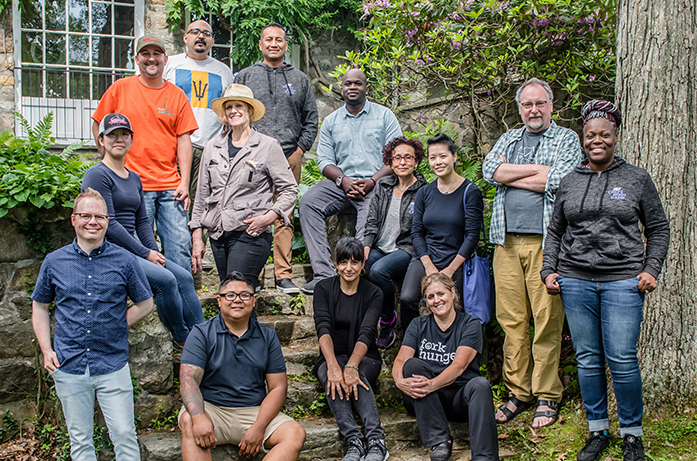 During the intensive three-day training, chefs honed the skills they need to be effective champions for the food-system issues they feel most passionately about. This Chefs Boot Camp was conducted with support from the Osprey Foundation and JBF board member Eric Kessler. 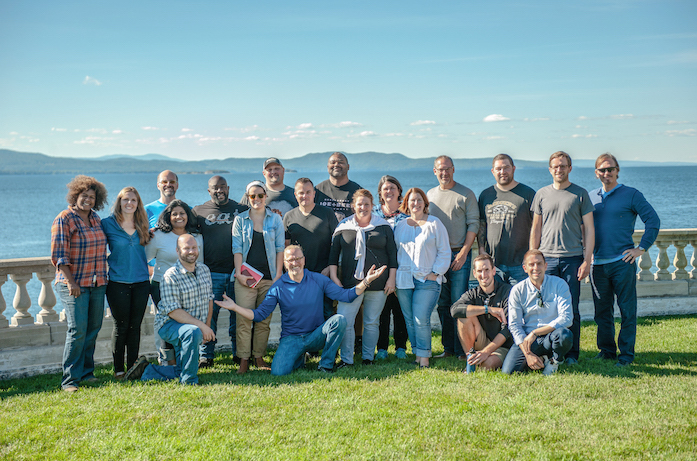 Our eighth Boot Camp took place at Shelburne Farms in Northern Vermont, September 13-15, 2015. Participating chefs learned the policy and advocacy skills they will need to be effective champions for their chosen food system causes. The chefs had the opportunity to tour and learn more about Shelburne Farms' work and onsite farm-to-school education programs. This Chefs Boot Camp was conducted in partnership with the Chef Action Network® (CAN), with support from Shelburne Farms, the Osprey Foundation, and JBF board member Eric Kessler. 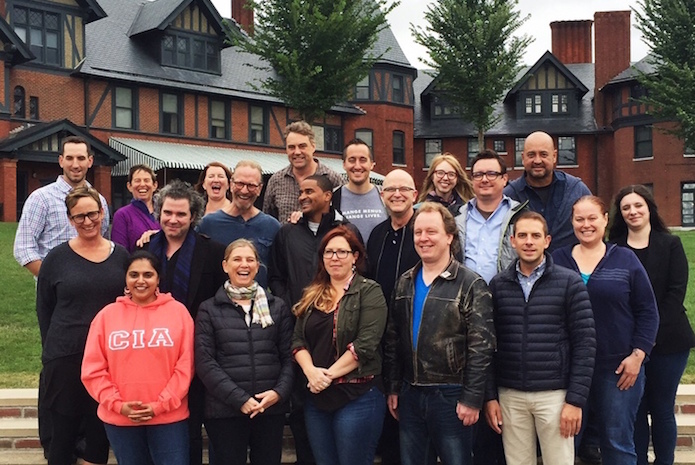 Our seventh Boot Camp took place for a second time at Glynwood in New York's Hudson Valley, June 7-9, 2015. Participating chefs learned the policy and advocacy skills they will need to be effective champions for their chosen food system causes. 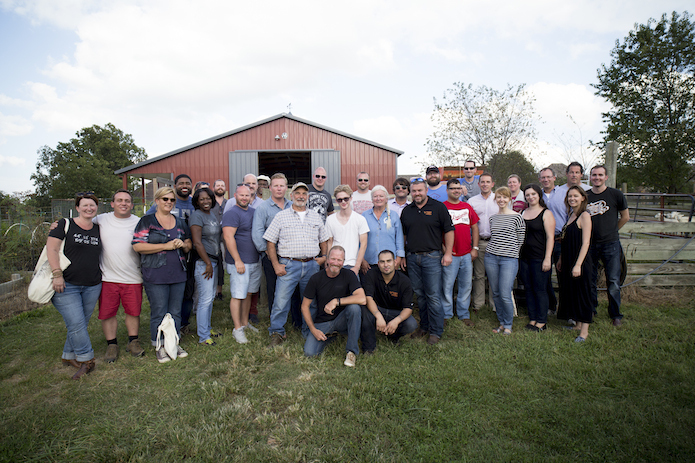 The chefs had the opportunity to tour and learn more about Glynwood's operations on their 225-acre nonprofit farm. This Chefs Boot Camp was conducted in partnership with the Chef Action Network® (CAN), with support from Glynwood, the Osprey Foundation, and JBF board member Eric Kessler. 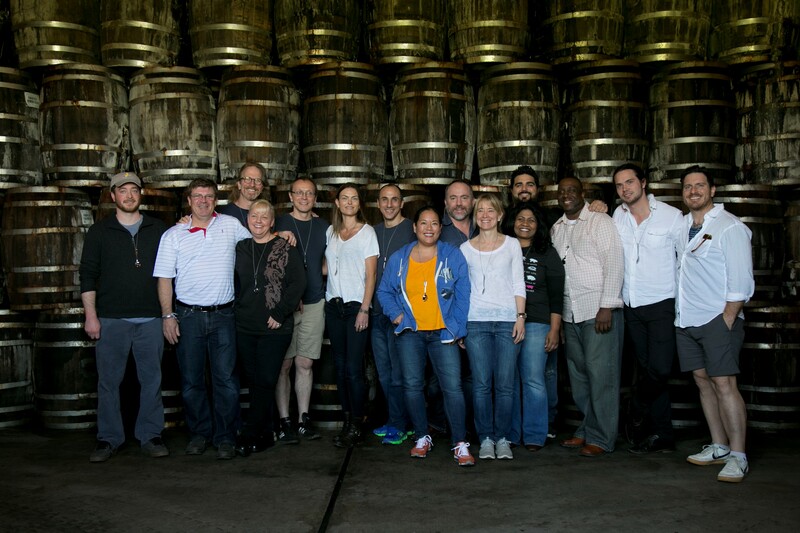 Our sixth Chefs Boot Camp took place on Avery Island, home of the world-famous Tabasco® sauce, March 15-17, 2015. Participating chefs learned the policy and advocacy skills they will need to be effective champions for their chosen food system causes. The group toured Avery Island and learned about its history and the process of making Tabasco®. This Chefs Boot Camp was conducted in partnership with the Chef Action Network® (CAN), with support from the Osprey Foundation, the Irene W. and C.B Pennington Foundation, and JBF board member Eric Kessler. Our fifth Chefs Boot Camp took place at 21c Museum Hotel in Bentonville, Arkansas, September 7-9, 2014. Participating chefs learned policy and advocacy skills through the lens of access and affordability of food. The group made a visit to Ewe Bet Farms, a lamb farm in Cave Springs, Arkansas, and took a tour of the Crystal Bridges Museum of American Art. This Chefs Boot Camp was conducted in partnership with the Chef Action Network® (CAN), with support from the Osprey Foundation, the Walton Family Foundation, and JBF board member Eric Kessler. 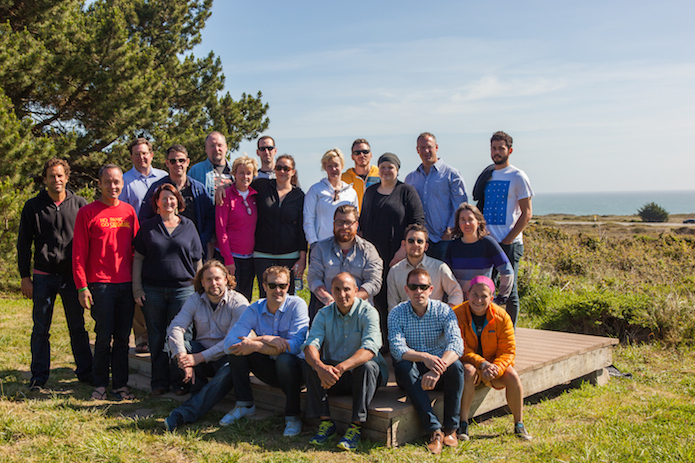 Our fourth Chefs Boot Camp took place at Costanoa Lodge in Pescadero, California, April 27-30, 2014. Participating chefs learned policy and advocacy skills, with a focus on sustainable seafood. The group also traveled to Half Moon Bay for a fishing excursion and additional training. This Chefs Boot Camp was conducted in partnership with the Chef Action Network® (CAN), and with support from the Osprey Foundation and the Waitt Foundation. 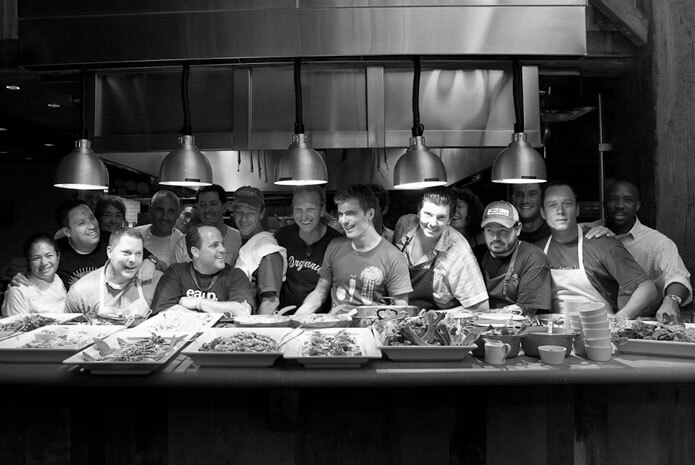 The third Chefs Boot Camp took place September 15-17 at Glynwood in New York's Hudson Valley. Participating chefs developed their policy and advocacy skills while learning about Oxfam America’s GROW campaign, which brings people together to create solutions for food, fairness, and the future of our planet. The second Chefs Boot Camp took place at Louisville's 21c Museum Hotel from May 12-May 14, and focused on regional food systems. Activities included a tour of nearby Woodland Farm, known for its sustainable farming practices, heritage livestock breeds, and biofuel program; and a meeting with Louisville mayor Greg Fischer, whose policy agenda includes strengthening the role of local food in the city. This program is conducted under the direction of Michel Nischan, chef and co-founder of Wholesome Wave, and James Beard Foundation trustee Eric Kessler, founder of Arabella Advisors. For information about supporting Chefs Boot Camp, please contact Kris Moon, JBF's vice president, at kmoon@jamesbeard.org or at 212.627.5252.